Many managers without a background in finance leave the financial analysis entirely in the hands of the company’s accountants. But this is not the way to go, according to Erik Alenius, a teacher and researcher in business finance. “The finances are far too important to leave to the accountants.” In this article, he suggests a few basic considerations that can help you as a manager and business leader to make considerable progress on the way to better control over the company’s finances. The finances permeate everything a business does. By putting numbers to and concretizing various aspects of the business, it is possible to discern how the business is performing, understand what aspects need to be improved and generally make better decisions. But there are many “financial myths” in the business world and there is considerable confusion in terms of the financial concepts. 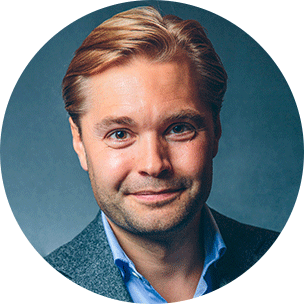 Consequently, misunderstandings are common when talking about finances in the companies, according to Erik Alenius who teaches professionalism and business administration in SSE Executive Education’s program for knowledge-intensive service companies: Managing Professional Services (MAPS). Learn the financial lingo. Make sure you understand the basic financial terminology and how the concepts relate to one another. This makes it easier to communicate with other businesses and establish your ideas. Get better at analyzing the business figures. If you understand the items in a cash flow statement, balance sheet and income statement and can analyze financial consequences of various decisions, you can more easily think about the big important questions, such as “What value do we create for our customers?”, “Are we focusing on the right things?” and “Are we using our resources in the best way?”. Below are some important, fundamental financial questions that managers can benefit from asking themselves. The examples are taken from the service industry, but the reasoning is universal. What profit does adequate profitability provide? A business must generate a profit to survive, which in turn means that the revenues must be larger than the costs. But it is not enough to just make a profit, it must also be large enough to create profitability that is enough to provide reasonable compensation to those who have taken risks and invested in the company. The profitability also needs to be enough to build up necessary buffers and create conditions for growth. So it is important to know how much the company’s owners and lenders expect to get, how large buffers the company needs to not end up in trouble and what financial strength is required to be able to realize possible growth ambitions. What factors drive profitability in your business? Profitability drivers differ between industries, types of companies and how the company is structured. These differences mean that the size and nature of revenues, costs and investments vary. There are, for example, parameters that are specific to the consulting industry where a key for profitability is being able to sell the consultants’ time. But even in the consulting industry, there are significant differences between different businesses. Companies that hire their personnel compared with companies that bring in sub-consultants will look very different when comparing revenues per employee. An income statement in an IT consulting company that sells licenses in addition to consulting hours may differ widely from a company that just sells consulting hours. In order for the financial analysis to be valuable, it is therefore important to be aware of these strategic differences when comparing figures and levels between companies. But this is a classic mistake, according to Erik. How well are you using your capacity? In general, the companies that manage to generate large revenues with their available capacity are the ones that will be the most successful. Consequently, resource utilization is a very important issue. Begin by setting a reasonable reference point by finding out what your total capacity is in your consulting group: if you were to do everything you should from an efficiency perspective, what should you then be able to get out in terms of capacity? Check this against the capacity now being used and consider how you can improve the efficiency of the processes and make it easier for your resources to increase their delivery capacity. Are you staffing your projects correctly? Are the right people doing the right things? Is it possible to redistribute the assignments internally so that more senior/expensive consultants have the possibility of spending more of their time on the most value-generating assignments? What opportunities exist for scaling up your services? Are you using your capacity sustainably? Is the price for your services reasonable or can you charge more? The price of your services needs to cover all costs for producing the service – including costs for unbillable time and the various risks that come with the assignment. But it is just as important to understand what the service’s value is to the customer. This is to be able to set prices that drive your own company’s profitability and behind which there are good arguments when the price has to be justified in negotiation situations. Can you get paid faster? How much time does it take between rendering your services and when the money for the work comes in? If you just keep your eyes on the revenues, it is easy to get the impression that this does not matter, but many then have to struggle with liquidity problems, meaning that they do not have enough money in their account to cover necessary payments. You should, therefore, review how long it takes to get paid for the work you do and think about whether this time can be shortened. Revising the terms of payment may be one measure, but there is often quite a lot to be done around invoicing procedures that mean just as much, or more, for the time from when the work is done until the customer pays. As a business leader, you can come a long way by understanding the most common financial terms and how they relate to your own business. And it is not uncommon that the participants Erik meets are surprised that they actually think that business finance is fun to work with when it is used as an aid to improve things in their own company. So, perhaps you too should be thinking more about business finance. And if you do, don’t be surprised if you should find that it isn’t just a necessary evil, but actually quite fun. Are you a manager of a knowledge-intensive service company and interested in learning more about business finance and the financial lingo?